Who are you? Who do you choose to be? Based on what criteria do you want others to judge you first? Who knew shopping posed such existential questions? All I wanted was a twinset. I mean, that's a pretty conservative purchase by any standard, don't you think? It should have been a safe shopping trip. Especially since my kind of shopping involves a keyboard, a cup of tea and PayPal. Plus, I had my BFF on WhatsApp to help me avoid disastrous color choices while she was shopping online from her own laptop, searching for kitchen-cabinet handles for her new house. I was going to try a store I had never shopped at before, but which had been highly recommended to me by several people. Wow - the selection was amazing! Twinsets in almost every color I could imagine. And all the other sweaters ... On sale, too! BFF and I oohed and aahed and finally chose pistachio over cabernet. Everything went swimmingly until it was time to check out. I had to create a profile. I duly typed in my name. 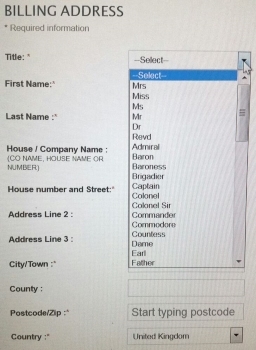 Then there was the innocuous looking little box with a drop-down menu that asked me to choose an honorific. Mrs. Ms. Mr. Dr. ... what's that? Baron? Baroness? Countess? Since when are those options on a drop-down menu? Not on any I'd ever seen before. I pulled up WhatsApp and snapped a picture of my computer screen. 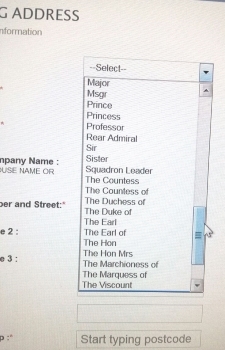 "Which should I choose, dame or countess?" BFF's response was swift. "Countess. Implies rank based on heredity or good marriage. Dame could be an actress!!!" Good point. Dame could be so common! Countess it is - good breeding or good choice in partner. Either one works. Golly this was tough ... Who did I want to be? Admiral? Squadron Leader? A nun devoted to a life of service? After a few elimination rounds though, I had it down to two. 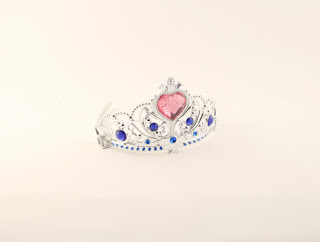 Me: "Professor or princess? Hard call that one ..."
BFF: "Prof. is your own intelligence. Might be worth something." Argh. She's always right that one. So there went my chance of being a princess, even if only on a mailing label. 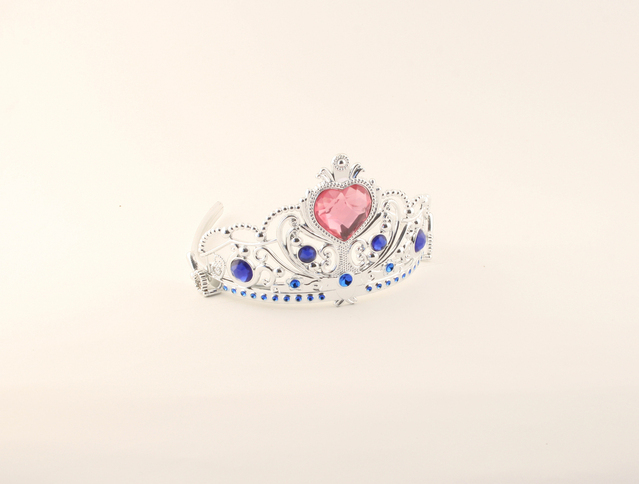 At the end of the evening, we settled on Ms. Because every woman is a princess, right? And besides, less is more. For all they knew in the customer service department, I was The Duchess of Cambridge shopping incognito. But sometimes, I can't help but wonder ... you think they'd have made me send the twinset back if they'd found out the Countess de Koenings was an impostor? PS Where was I shopping? A store called WoolOvers. Google them and you, too, could reinvent yourself. And the sweaters are fab! 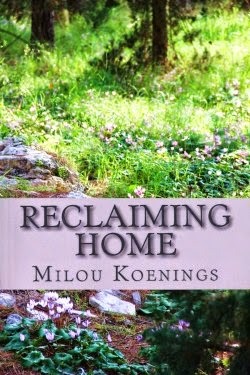 You can find her on her website, www.miloukoenings.com, on Twitter, Facebook or Pinterest. Join us at the Sweet Romance Reads Cafe to chat with our authors. We love to hear from you!